Jack U planned a 24-hour live streaming “marathon DJ party” where Skrillex and Diplo offered a continuous broadcast of a special 24-hour DJ set that started at 1pm PST on Thursday, February 26th. Both artists ‘marathoned’ through their regular sleep cycles inside a tiny housing unit tucked away in LA for a once-in-a-lifetime event that was ultimately broken up by the police well before there 24 hours were up. Chris Stapleton performed “Whipping Post” with Gregg Allman on Skyville Live from Nashville, TN. Grateful Dead, with Trey Anastasio, streamed 5 shows for the largest music pay-per-views to date, and on night one of their three-night stand at Chicago’s Soldier Field on July 3rd, the Grateful Dead played “Scarlet Begonias” into “Fire On The Mountain” with Bruce Hornsby on lead vocals. Chance The Rapper and his band, The Social Experiment, closed out the first night of The FADER FORT Presented by Converse at SXSW 2015, and it streamed live around the world in 4k, powered by Dell | Intel. Imagine Dragons live streamed an intimate, surprise performance from Clifton’s Cafeteria Los Angeles live into Times Square in New York City. Fans of Coachella weekend one posted more than 3.5 million tweets alone. More than 1 million tweets were sent from SXSW 2015, which also offered its largest official live stream musical offering to date. Jay-Z launches TIDAL with slew of A-list artists and live streams himself in a rare B-side concert. Internationally renowned artist Imogen Heap performed and presented a new song specially created for Sennheiser. 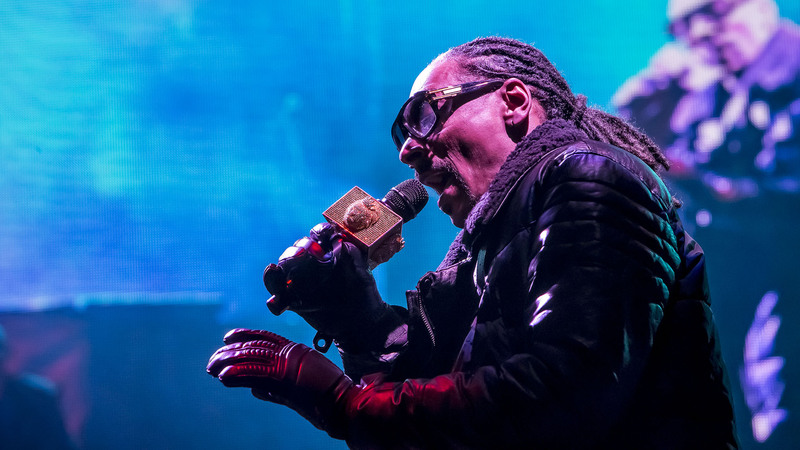 Snoop Dogg headlined X Games Aspen and performed live for extreme sports fans and athletes on Buttermilk Mountain, and streamed the set live on ESPN. Justin Bieber performed a stripped down and acoustic set in his hometown of Toronto at the Danforth Music Hall and covered Drake’s ‘Hotline Bling’. Donavon Frankenreiter and his bandmates showcased his entire recording process, unscripted, unedited via webcast; granting anybody all-access to non-stop streaming for 8 hours per day, for 10 days straight at Blue Rock Studios. A Night of Legends concert Billy Gibbons (ZZ Top), Butch Trucks (Allman Brothers), Slash (Guns N’ Roses), Duff McKagan (Guns N’ Roses), Matt Sorum (Guns N’ Roses), Richi Sambora (Bon Jovi), Edgar Winter and many more performed live at The Roxy Theatre in Los Angeles with VRLive TV streaming it in 360 degree virtual reality. LiveXLive launches with a live stream of the inaugural Rock In Rio USA Music Festival. Phish performed “Tweezer” into “Prince Caspian” at the bands’ own festival, Magna Ball, and as one avid Phish fan put it, “highly regarded as the best 30 minutes Phish has done in like a decade”. Pearl Jam’s Eddie Vedder brought out Beyonce to join him for a cover of Bob Marley’s “Redemption Song” at the 2015 Global Citizen Festival in New York’s Central Park in front of an audience full of activists and fans watching from around the globe. Allen Stone performed live on the rooftop of the Capitol Records building in Los Angeles, CA at sunset and streamed it live in promotion of his latest album, Radius. Umphrey’s McGee and TourGigs served up a stream of the bands annual UMBowl VI live from the Las Vegas Brooklyn Bowl on May 1st. UMBowl is an event like no other. This special four-quarter event (read: four sets) was streamed in its entirety and pushed the envelope for the longest UM show the band has ever streamed. 7UP sponsors the 2015 ULTRA Music Festival live stream and the broadcast moved from the YouTube platform to Twitch. NYC’s Soundcheck celebrated Halloween with Primus, one of the most inventive and darkly comedic bands of all time. During a live performance and costume contest judged by the band, the original Primus lineup of Les Claypool, Larry LaLonde, and Tim “Herb” Alexander readied the release of Primus & The Chocolate Factory — a reimagining of the score to the classic 1971 Mel Stuart film Willy Wonka & The Chocolate Factory with a live stream from The Greene Space. Paul McCartney headlined Friday night at Chicago’s 2015 Lollapalooza and brought out Alabama Shakes’ Brittany Howard to perform “Get Back”. Live stream video apps Meerkat & Periscope, were introduced to the public and had people buzzing all year long. 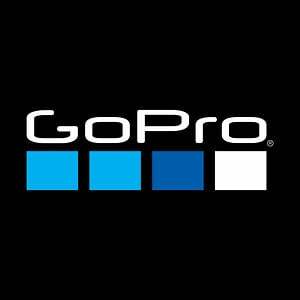 GoPro partnered with NAMM to offer the live stream of the NAMM Grand Plaza Stage at the 2015 NAMM Show in Anaheim, CA. NPR Music presented a live stream of T-Pain at NPR’s Washington, D.C. headquarters to mark the one-year anniversary of the most popular Tiny Desk Concert ever. Mikky Ekko performs an exclusive acoustic set at Hilton Times Square in partnership with Hilton Hotels and SPIN Magazine.